The band name Dead Friends makes some sense when you know of the band’s backstory. 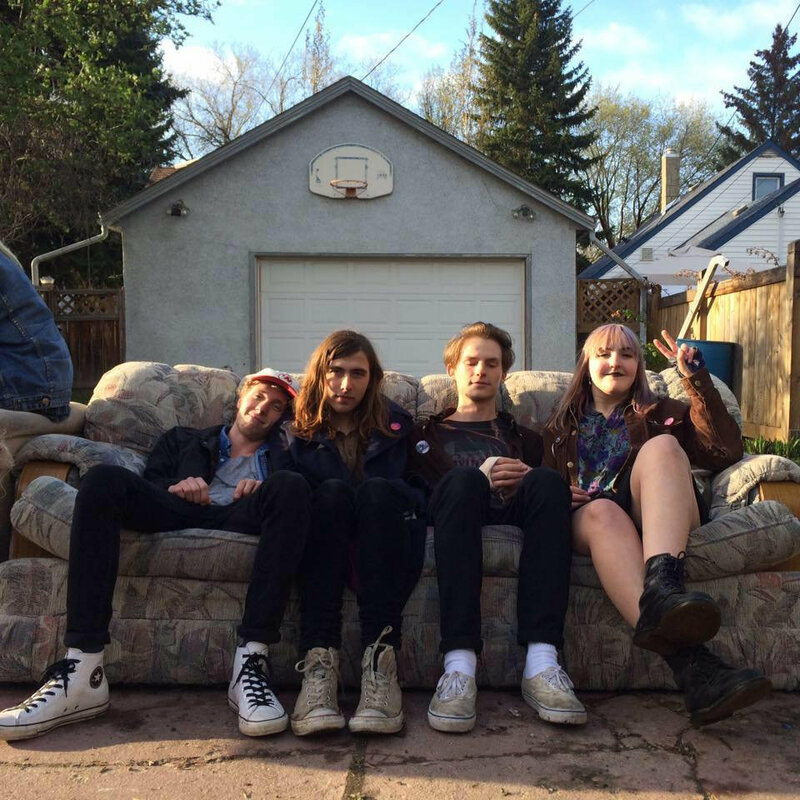 Before Dead Friends became a thing, Ellen Reade, Carter Mackie and Jessie Ladd met in junior high, played in different bands in high school an eventually got together a year-and-a-half ago to make garage music. With the addition of Callum Harvey, they focused on “garage psych,” which is a handy descriptor for the band. The “dead” part of their band name is especially evident in the funereal feel of many of these heavy, heavy songs. Their self-titled LP is set to drop on March 16 through Edmonton’s Double Lunch Records, and you can get a peek at it a day early here. Sample this album’s intensity for yourself below.